How old is your current pair? * I have read and understand the Patient Responsibility Disclosure Statement. * I have been given the opportunity to read this practice's HIPAA Privacy Policies. 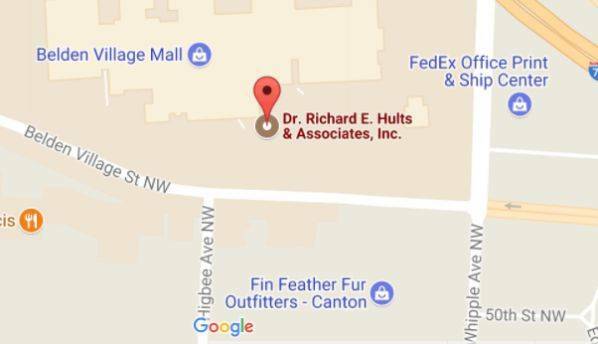 Dr.Richard E. Hults & Associates, Inc. 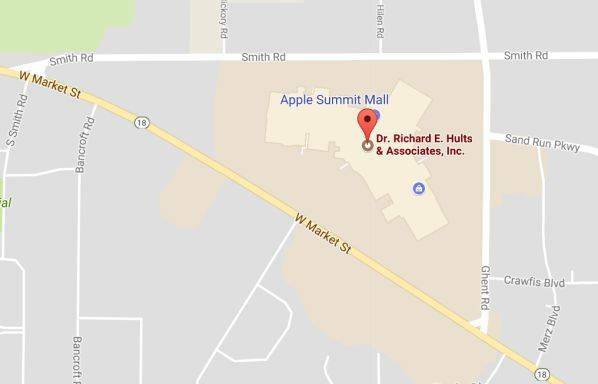 Inform Dr.Richard E. Hults & Associates, Inc. of the current address and/or phone number for the Patient and Responsible Party. Present all current insurance cards (Vision and Medical) prior to each visit. Pay any required co-pay at the time of the visit. Pay any additional amount owing within 30 days of receiving a statement from our office. Note: When our office receives an Explanation of Benefits (EOB) from your insurance company, any amounts that you need to pay will be billed to you. I understand that EyeMed Insurance will not cover any ancillary testing such as Optomap and QuantifEYE and I will pay for these elective tests at the time of service. Should Collection proceedings or other legal action become necessary to collect overdue amount, the Patient's Responsible Party should understand that Dr.Richard E. Hults & Associates, Inc. has the right to disclose to an outside Collection Agency all relevant personal and account information necessary to collect payment for services rendered. The Patient, or patent's Responsible Party understands that they are responsible for all costs of collection. This will be added to the outstanding balance. By signing below, you agree to accept full financial responsibility as a Patient who is receiving medical and/or vision services, or as the Responsible Party for minor Patients. Your signature verifies that you have read the above disclosure statement, understand your responsibilities, and agree to these terms. THIS NOTICE DESCRIBES HOW MEDICAL INFORMATION ABOUT YOU MAY BE USED AND DISCLOSED AND HOW YOU CAN GET ACCESS TO THIS INFORMATION. PLEASE REVIEW IT CAREFULLY. THIS NOTICE IS EFFECTIVE 11/10/2011 UNTIL FURTHER NOTICE. As a patient, you have the right to adequate notice of the uses and disclosures of your protected health information. Under the Health Insurance Portability and Accessibility Act (HIPAA), Dr.Richard E. Hults & Associates, Inc. can use your protected health information for treatment, payment and health care operations. a)Treatment: We may use or disclose your health information to a physician or other healthcare provider providing treatment or expected to provide treatment to you. b)Payment: We may use and disclose your health information to obtain payment for services we provide you. c)Health Care Operations: We may use and disclose your health information in connection with our healthcare operations. Healthcare operations include quality assessment and improvement activities, reviewing the competency or qualifications of healthcare professionals, evaluation of provider performance, conduction of training programs, accreditation, certification, licensing or credentialing activities. Most uses and disclosures that do not fall under treatment, payment or healthcare operations will require your written authorization. Upon signing, you may revoke your authorization (in writing) through our practice at any time. We may use your health information when we are required to do so by law. We may disclose your health information to appropriate authorities if we reasonably believe that you are a possible victim of abuse, neglect or domestic violence or the victim of other crimes. We may disclose your health information to the extent necessary to avert a serious threat to your or other people's health or safety. We may disclose the health information of Armed Forces personnel to military authorities under certain circumstances. We may disclose health information to authorized federal officials required for lawful intelligence, counterintelligence and other national security activities. We may disclose health information of inmates to the appropriate authorities under certain circumstances. We may use or disclose your health information to provide you with appointment reminders via phone, e- mail or letter. If you bring along another person or persons to your exam or office visit and allow them to accompany you in the exam room during your time with the doctor or other office personnel, it will be assumed that you are giving your permission to freely discuss your health information in front of this person or persons as it pertains to that day's visit. We will not intentionally discuss your protected health information in front of other patients in the office and will be sensitive to these issues. However, if the discussion of glasses or contact orders, your billing, instructions pertaining to treatment or other issues occurs in the more public areas of the office, and you at any time feel uncomfortable with your level of privacy, please feel free to let us know and we will move the conversation elsewhere. Our office may contact you from time to time concerning your care. We may contact you by mail, phone, or email. We may contact you regarding your next appointment, to inform you that your order is ready, to pay an outstanding balance, or to market services in our office. As part of our recall program, LensCrafters will receive your name, address, telephone number, email address and next appointment date(s) and time(s) for the purpose of providing LensCrafters coupons and service and product Information either from this office or directly from LensCrafters; And to compare mailing lists with LensCrafters to help avoid duplicate mailings. This information may be re-disclosed and no longer protected by federal privacy regulations. This authorization is voluntary and you may refuse to sign this authorization. Your refusal to sign will not affect your ability to obtain treatment, receive payment, or eligibility for benefits. 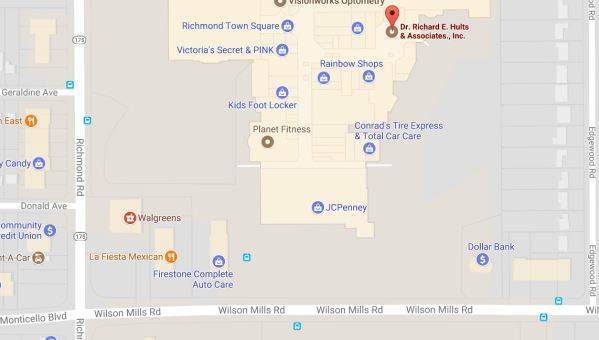 LensCrafters/Dr Richard E. Hults & Associates, Inc. will not receive compensation for the use/disclosure of this information. You may inspect or copy the information used or disclosed. You may revoke this authorization at any time by notifying LensCrafters/Dr Richard E. Hults & Associates, Inc. in writing, except to the extent that action has been taken in reliance on this authorization; or if this authorization is obtained as a condition for obtaining insurance coverage, other law provides the insurer with the right to contest a claim under the policy. This authorization expires four years from the date of my signature. Dr.Richard E. Hults & Associates, Inc. is required by law to maintain the privacy of your protected health information. We are required to abide by terms of this notice as it is currently stated, and reserve the right to change this notice. The policies in any new notice will not be in effect until they are posted to this site, or are available within our office. 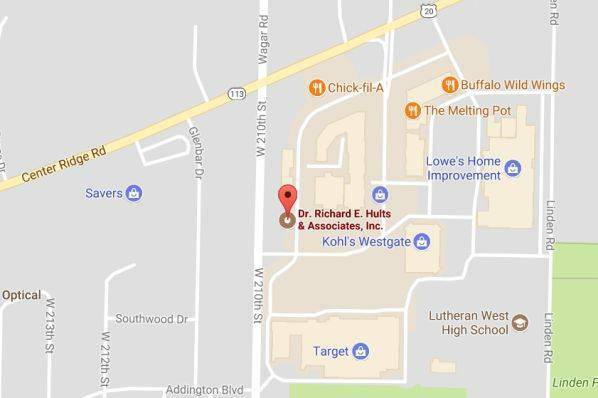 For further information about Dr.Richard E. Hults & Associates, Inc.'s privacy policies, please contact our HIPAA complaint officer, Richard Hults, at the following address or phone number. P.O. Box 880, Hudson, OH 44236, Tel: 330-697-4748. If you have moved or any of your patient information has changed please contact our office.